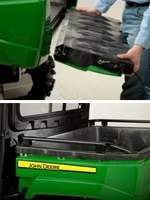 John Deere's XUV 560E has four-wheel independent suspension for excellent ride and handling. 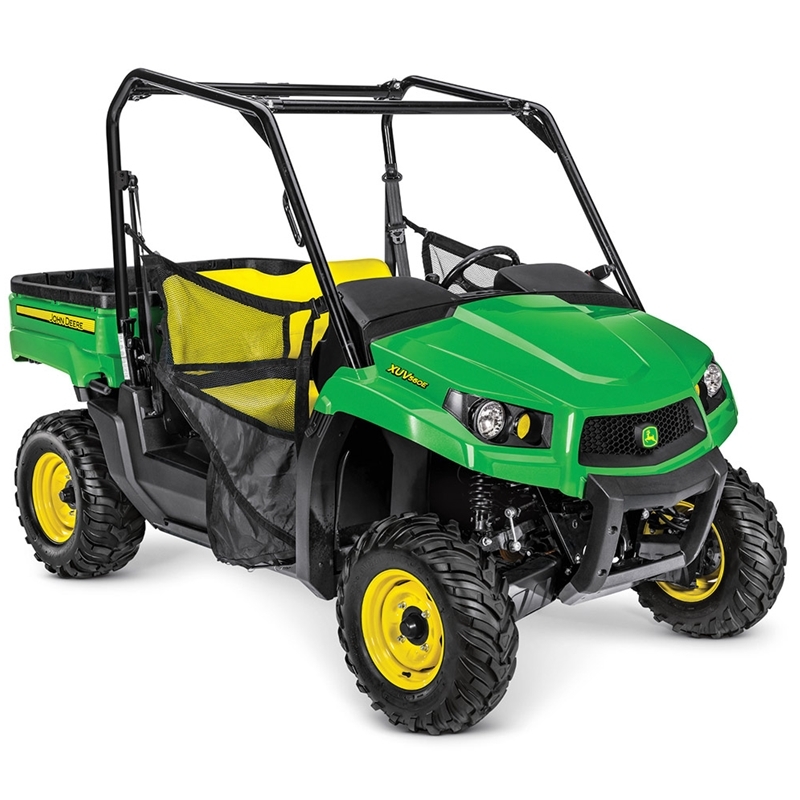 Ergonomic features like an operator-centric design, ergonomic and comfortable seats, and cup holders within reach create a comfortable operators station with easy to use controls for all day Gator-ing around, for work for play. 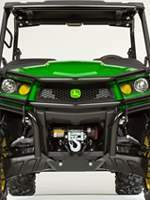 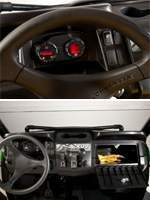 The Gator XUV560E utility vehicle is powered by a 34.8 cu in V-twin gas engine. 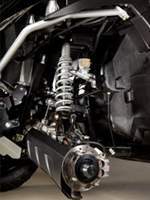 The carburetor is tuned for rapid thorttle response, reliable cold-weather starting, smooth mid-range power delivery and quiet idling. 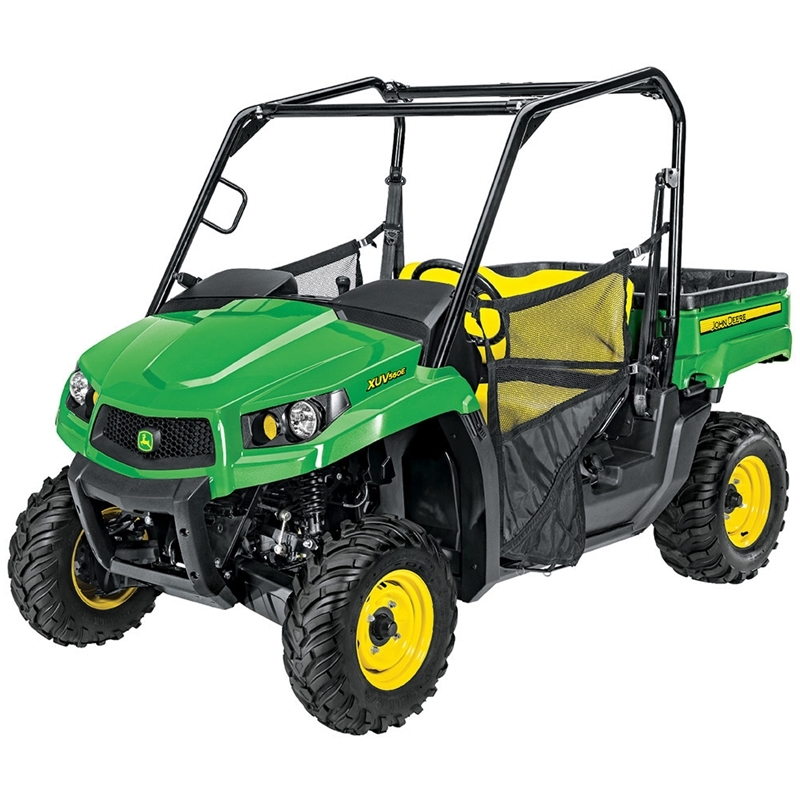 With 45 MPH top speed, a 4.9 gal fuel tank, and best-in-class comfort, this crossover UTV will exceed your expectations on the farm or on the trails.